On the traditional Armistice Day, 94 years after the “War to End Wars” ended, three vociferous peace activists tackled the question of “U.S. wars — are they lawful?” and all found America’s current conflicts bypassing the Constitution or international law. 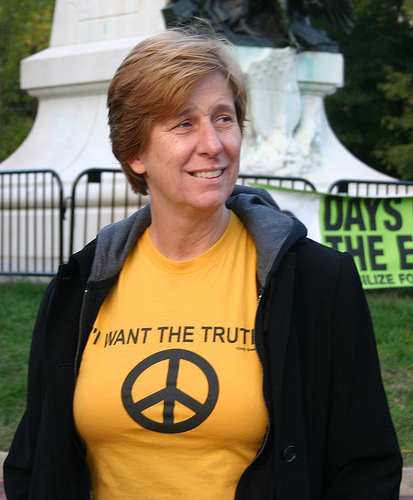 xxxxxxThey were Cindy Sheehan, gold-star mother best known for her 2005 Iraq-War protest at the Bush Texas ranch; David Swanson, writer, blogger, and radio host in Washington, DC; and Medea Benjamin, co-founder of Code Pink and Global Exchange. They spoke (in that order) at an 11/11 forum that highlighted the 2012 biennial general meeting of the War and Law League (WALL) in San Francisco’s main public library. xxxxxxMajor points by each speaker follow below. Then come excerpts from a panel discussion that followed the talks, other details of the meeting, and further biographies. CINDY SHEEHAN: Don’t whitewash Democratic war crime. President Obama’s regime — marked by executions through drones and an attack on Libya without the OK of Congress — was termed “totalitarianism” by Cindy Sheehan. xxxxxxAs soon as the UN adopted a resolution approving a no-fly zone in Libya, “I sent out something … to my list and I said, ‘Do you know what a no-fly zone means? … Within days, there’s going to be active bombing.’ And I was right. Tens of thousands of innocent Libyans were killed in the U.S.-NATO bombing of Libya.” The North Atlantic Treaty Organization “has now become just another military extension of the United States empire, and the UN has now become a rubber stamp for empire,” because both get most of their funding from the U.S.
xxxxxxMs. Sheehan asked rhetorically, who or what body is going to stop the U.S. empire’s war machine from doing whatever it wants to do? “The people in the streets. Soldiers refusing orders. People all over the world in solidarity…. It’s up to us to be in solidarity with the innocent people that the U.S. bombs on a daily basis, oppresses, occupies. We need to be in the streets and demand that it stop and we don’t stop doing that just because a Democrat’s in office.” That drew applause. xxxxxx“I just found out today that a 17-year-old girl is on Obama’s kill list, that he has already executed in Yemen three American citizens without their due process. One was a 16-year-old boy. He [Obama] has ‘terror Tuesdays.’… If your own president is executing you, there’s something wrong with that picture…. When the president can sign execution orders, when the president can kill tens of thousands of innocent Libyans without even bothering to run it by Congress, then you’re looking at totalitarianism…. DAVID SWANSON: All wars are criminal. “We banned all war in 1928,” David Swanson said. The ban was imposed by the Kellogg-Briand Pact. So any military action, even if declared by Congress, is a war crime, in his view. xxxxxxToday 81 nations, including the U.S., are parties to that treaty, “and many of them comply with it. I would like to see additional nations, poorer nations that were left out of the treaty, join it … and then urge the greatest purveyor of violence in the world to comply as well. xxxxxxAlthough Kellogg-Briand and the dream of abolishing war is nearly forgotten, the UN Charter made it unlawful to threaten war, something the U.S. is constantly doing, Mr. Swanson said. An International Criminal Court has existed for a decade, however, he explained, it prosecutes only specific atrocities, applies only to nations that have chosen to submit to its authority, and prosecutes only cases approved by the permanent members of the UN Security Council. xxxxxx“Obama’s lawyer Harold Koh famously told Congress that attacking Libya was neither war nor hostilities…. These were non-hostile bombs. xxxxxx“So-called special forces, the CIA, and our brave drones are engaged in military action in dozens of nations, none defensively or UN-authorized, none in a manner that escapes the Kellogg-Briand Pact, none with a constitutional declaration, many without any sort of authorization from Congress, most without knowledge of Congress. xxxxxx“Civil cases brought against U.S. military actions are shut down by claims of secret powers, or authorized by secret laws that we are not permitted to read, including secret sections of the Patriot Act….” Although Obama announced that he would review all of Bush’s memos from the Office of Legal Council, he has never announced the results or said which secret measures were kept and which discarded. According to The New York Times, there is a secret memo from the Office of Legal Council that concludes, rather as John Yoo and Jay Bybee concluded, that torture is not torture, that in fact murder is not murder. But even Congress is not allowed to see the memo, so the Congressional Research Service was reduced to guessing what could be in it…. xxxxxx“The incoherence of the various public comments from the White House obscures that fact that the victims [of drones] are not all suspected of plotting attacks on the United States. Most of the victims are simply innocent people in the wrong place. Others are targeted without so much as knowing their names, based on behavior…. [suggesting] that they are aligned with those defending a foreign nation against U.S. attack…. At one congressional hearing not long ago, the director of national intelligence was asked what foreign nation might attack the United States, and he was unable to name one…. xxxxxx“With no cover of law. Obama is arming Syrian terrorists, training Iranian terrorists, engaging in cyber attacks, and imposing what he calls so proudly crippling sanctions, all arguably illegal acts of war. The UK attorney general has decided that attacking Iran would be illegal. Top Israeli officials … have refused orders to prepare an attack on Iran, in part because of the illegality.” Yet, Mr. Swanson charged, the United States continues to threaten and lie about Iran and propagandize and prepare for war. MEDEA BENJAMIN: Drone warfare is lawless. In its continual killings in Pakistan and Yemen by remote control, the Obama Administration follows no valid law of Congress and breaches international law, Medea Benjamin charged. xxxxxxThe Administration claims that the authorization for the use of military force that Congress approved three days after Sept. 11, 2001, provides a legal basis for its drone wars. But, as Ms. Benjamin pointed out, that statute specifically limited the recipients of military force to those whom the president found to be involved or associated with the 9/11 terrorism. xxxxxxThree out of four Pakistanis call America their enemy, said Ms. Benjamin. She had recently returned from a trip to Pakistan with some 30 other Americans to express opposition to attacks by the pilotless aircraft. The Pakistanis told of “living in a state of terror…. how their children are afraid to go to sleep at night, how they have lost their loved ones, how they fear going out into public places because drones have attacked schools … market places … meetings of the respected elders, like on March 17, 2011, when they came together to deal with a community dispute…. For the remote-control pilot thousands of miles away, it looked like a bunch of Taliban up to no good, and they sent in the drones and killed 42 people…. xxxxxxUnder international law, “you are not allowed to just kill people without giving them a chance to surrender. Do you think drones give anyone a chance to surrender? xxxxxxFollowing their talks, the three speakers gathered around a table on the stage of the San Francisco Public Library’s Koret Auditorium, answering questions written on cards, mostly by audience members. Among a variety of questions and replies were the following. xxxxxxHow can the munitions factories be closed down? San Diego, a center of weapons manufacturing, has a thriving peace community, which conducts weekly demonstrations in front of General Atomics’ drone plant, Medea Benjamin said. She added that a national call for a week of demonstrations at that plant and comparable ones in southern California was coming soon and urged widespread participation. xxxxxxHow can the U.S. be brought into alignment with the world community? 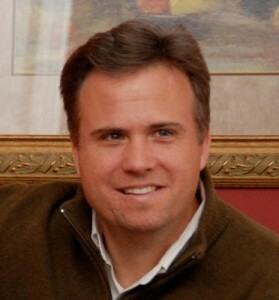 Contending that plutocrats drive the war machine, David Swanson urged the building of a broad coalition against the military-industrial complex, which, in his opinion, has corrupted American society. He suggested enlisting, e.g., groups concerned with civil liberties, which war infringes; and the environment, of which war is the worst destroyer. xxxxxxEarly in the three-hour conference, Paul W. Lovinger, founder and secretary of the War and Law League, related highlights in the league’s history — 15 years (less four months) of trying to “stop presidents from dictating war” contrary to the Constitution. Then WALL reelected three officers, Jeannette Hassberg, coordinator; Dolores Rodriguez, treasurer; and Lovinger, secretary; and three Executive Board members at large, Harry A. Scott, Grace Teresi, and Ken Wachter. Three new board members were elected: Lotus Yee Fong, Francis R. Grinnon, Jr., and Daniel Zwickel ben Avrám (who is also WALL’s webmaster and technical adviser). Following the forum, an admission-free event, all three main speakers sold and signed books they had written. xxxxxxDAVID SWANSON is an antiwar activist, writer, blogger, and talk-show host, based in Charlottesville, Virginia. He blogs at WarIsaCrime.org and DavidSwanson.org, works as campaign coordinator for the online activist organization RootsAction.org, and hosts Talk Nation Radio. His books include When the World Outlawed War, War Is A Lie, Daybreak: Undoing the Imperial Presidency and Forming a More Perfect Union, The Military Industrial Complex at 50, and, a recent work for children, Tube World. xxxxxxMEDEA BENJAMIN co-founded both CodePink, the antiwar women’s group; and Global Exchange, the international human rights organization, both in San Francisco. An economist and nutritionist turned activist, she has combated overseas sweatshops and taken delegations to Gaza. In 2010 she received the Martin Luther King, Jr., Peace Prize from the Fellowship of Reconciliation. In 2012, she was gassed and arrested for supporting democracy in Bahrain; was physically ejected from an official pro-drone meeting she interrupted in Washington, D.C. (her home base); and led a Code Pink delegation in Pakistan to protest drone attacks. She wrote eight books, the latest being Drone Warfare: Killing by Remote Control.